Pet Anxiety during the Ride to the Vet’s Office? Do you dread taking your furry friend to the veterinarian because they become filled with anxiety about the trip and being in the car? Do they refuse to even get in the car? Or once they are in the car do they whine and vomit? Dogs and cats are like humans in that they can experience motion sickness and can exhibit stress about being away from their normal environment. 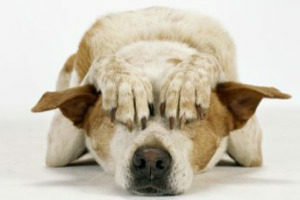 Here are a few things you can do to try and ease your pet’s discomfort. 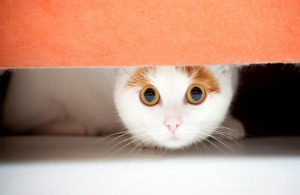 Cats tend to feel secure in small, comfortable spaces, and will often look for a place to hide. A cat carrier complete with blankets for them to nestle in should help relieve stress. An added bonus is that because the cat can burrow under the covers, they won’t see the trees whizzing by, which will help keep them from getting motion sick. For dogs, bring their favorite toy and blanket to curl up with. Talk to them calmly and reassure them that they are safe. Start with short rides to the store or dog park to build up their confidence. This way they also learn to associate the car ride with a fun activity, not just as a trip to the vet. This may take time, patience, and dedication, but soon your pet’s confidence will increase and you will be enjoying having a doggie companion on your rides around town, or even to the beach or off for a hike. As a reminder, always keep your cat crated in the car, and always secure your dog in the car, either in a crate or with a specifically designed dog seat-belt harness. There is nothing more dangerous than having an uncontrolled animal distracting or even impeding your driving. Here’s to your future happy car rides and pet friendly adventures!